Mermaids. I’ve been fascinated with mermaids since I was a child, the whole idea of a woman with the tail of a fish who lived beneath the waves of the sea, but who breathed the same air as me. The paintings and prints of mermaids sitting atop rock formations gazing out at the sea or towards land, while mesmerizing, sometimes filled me with a sadness I did not understand. It wasn’t until I was in my thirties that I began to understand my affection towards mermaids. As I began focusing my writing, creating essays and short stories based on my childhood and young adult life, I began to see her emerge between the pages. A mermaid does not belong entirely to one world, she drifts between one world and another. She spends much of her life under the water, familiar with its currents, respectful of its dangers, swimming gracefully and purposefully. It is her home. And yet, she feels the need to emerge atop its vastness, breathe the air, experience the rays of the sun warming her face, and long to walk upon the shores, always knowing she cannot and never will. So, how could a woman who grew up in Kansas possibly relate to a mermaid? By never feeling I truly belonged entirely to one world, one society, one culture. Growing up Mexican-American, I was teased by other kids in my neighborhood for not speaking Spanish, for being light-skinned, for being “too white.” As they pushed me from my familiar world, I felt the need to breathe and tread in the world of another. From that moment, I’ve never felt completely immersed in one, always drifting from one to the other, from the comfort of rocking waves to the softness of sand between my toes. I have come to terms with the way I was once treated by my own and recognize my sense of “not belonging” was attributed to many other personal differences and preferences. I’ve grown to understand and accept who I am and those inner obstacles I’ve overcome. But, I still feel a kindred spirit in the mermaid. I am a woman who enjoys the depths of life and does not linger long in the shallows. And while I love the feel of the sun, I do not sit long upon my rock, preferring scattered rays upon the cool darkness. The irony is that I fear Mother Ocean, as she is boundless, strong, unpredictable and forever mysterious. But, possibly the fear lies not in Her, but in me, in coming to know my own vastness, strengths, unpredictability, and mysteries. Or maybe, just maybe, I am a mermaid mistakenly landlocked in the great state of Kansas. You never know. 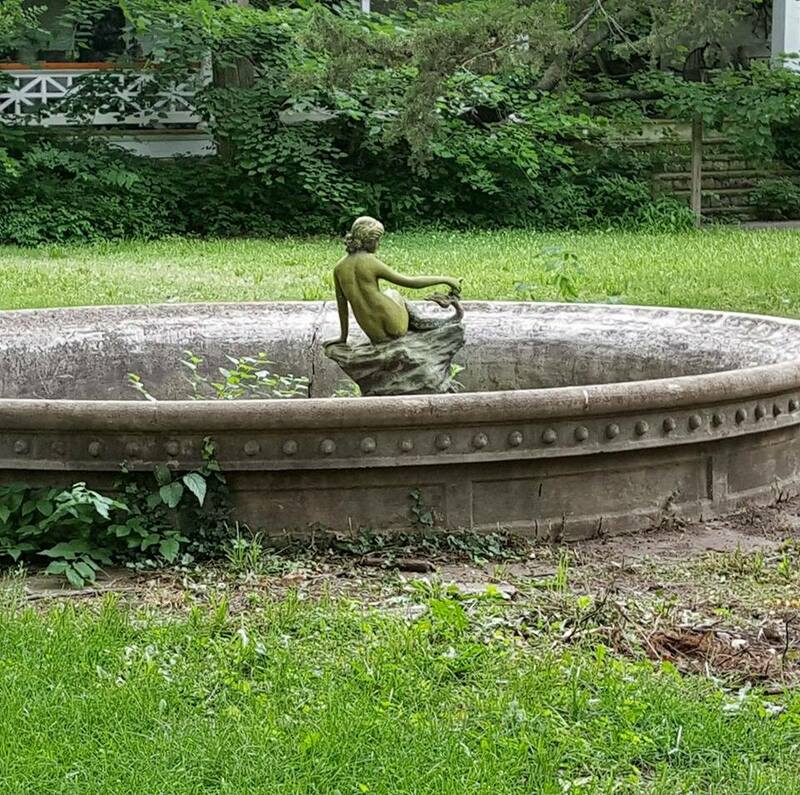 Where is this mermaid statue that is in the photo banner? She is my personal garden statue, photographed in the wheat field near our home.